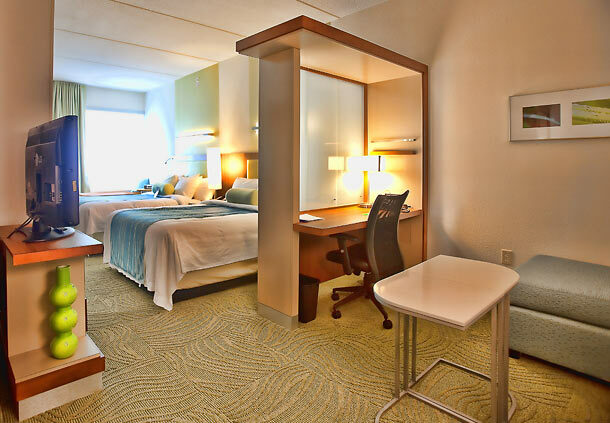 SpringHill Suites Rosenberg won the Trip Advisor Certificate of Excellence Winner for 2013 and 2014, This Marriott hotel offers suites with a separate living area, 37" flat screen HD TVs, microwave/mini-fridge, comfortable beds with lush bedding, high speed Internet access, a large work desk, complimentary hot breakfast buffet, complimentary wi-fi, fitness center, business center, and an outdoor heated pool. It is 4 miles from the Rosenberg Conference Center, and within a mile of two malls, including a grocery store to stock your mini-fridge. Scroll down to see a few of the reasons why this hotel is so excellent! 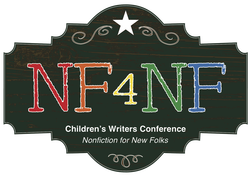 The NF 4 NF Conference Block will be released on August 23. The NF 4 NF Conference Rate is $89 per night (plus tax). When you register for the conference, you will be sent the link to register for your room through our own Springhill Suites site. 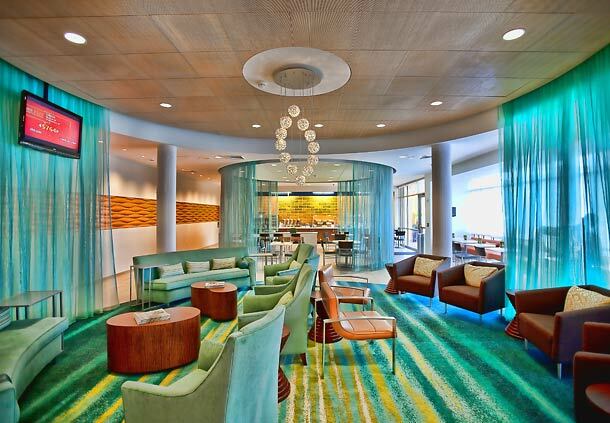 The spacious lobby will be the site for Thursday's Welcome Mixer and Saturday's Game Night. 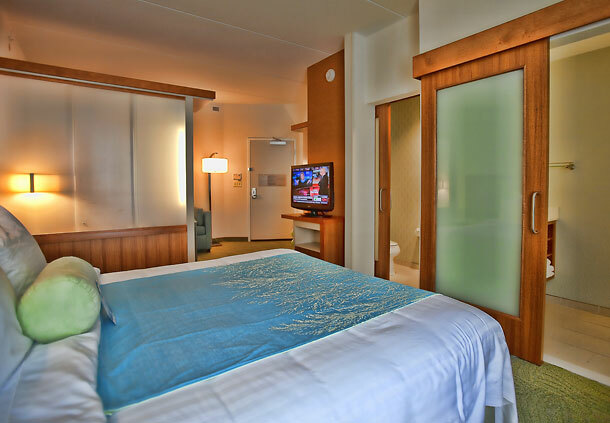 All suites feature a bedroom and living area. A split bathroom offers a separate shower. Comfortable outdoor seating extends the breakfast area.